We are a homegrown Talent Consulting company that believes people and process are pivotal in making companies succeed. Lead by leaders and a team with extensive experience within the Malaysian and International market, we pride ourselves in being experts on matters of the workforce. We have set high standards in the manner we conduct business, valuing the importance of service, quality, professional relationships and integrity. 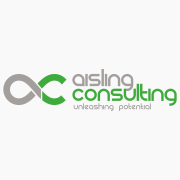 That is why at Aisling, our systems embodies best practices from our years of industry experience which governs the end results. Our experience has also taught us that people should consistently be in the center of everything we do, as it's a critical aspect in enhancing our network and continuously upgrading our talent capabilities. With everything working in sync, we are certain that individuals and organizations who partner with us will achieve their full potential.